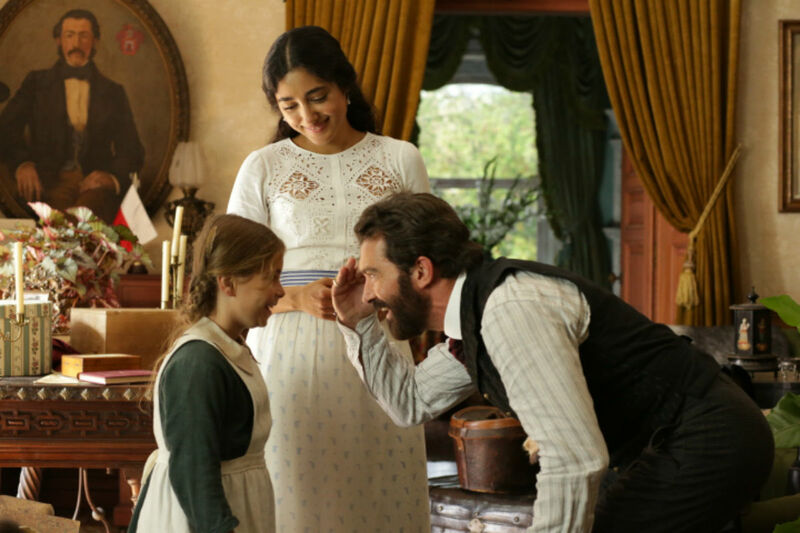 Maria is a precocious young girl who wants nothing more than to be an archaeologist just like her father Marcelino (Antonio Banderas). Together, they investigate a local cave called ALTAMIRA and discover ancient paintings of oxen and various examples of human life. 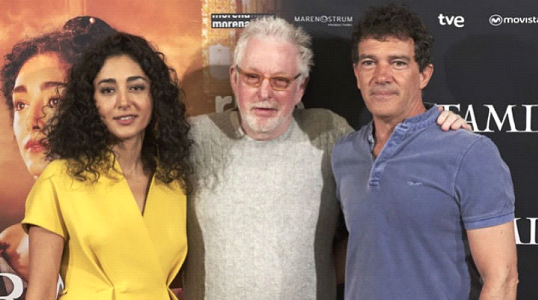 Conchita (Golshifteh Farahani), his wife, doesn’t believe in the legitimacy of the drawings until they draw international acclaim from numerous archaeologists from around the globe. The paintings spark outrage against the family because for the first time, archaeological evidence directly contradicts the historical teachings of the Catholic Church, and launch a debate that would ultimately change the world and takes all their love for each other to find a way through to redemption and recognition. Based on the incredible true story from late nineteenth-century Spain. British director Hugh Hudson, best known for his successful film Chariots of Fire, got his start as the head of a London agency casting department and from there became a film editor in Paris. Upon his return to London, Hudson began directing a series of distinguished award winning documentaries until 1970, when he teamed up with Ridley Scott in RSA, London’s leading commercial company. Five years later he founded Hudson Film and turned to feature films. From 1979 to 1980 Hudson directed his most successful feature film, Chariots of Fire (1981), the story of two British track runners, one a devout Christian and the other an ambitious Jew, in the run-up to the 1924 Olympic Games. The film won four Academy Awards, including Best Picture; Hudson earned a nomination for Best Director. His friend and colleague Vangelis produced an Academy Award-winning score for the film. Hudson’s next theatrical feature film was Lost Angels (1989), nominated for the Palme d’Or at the 1989 Cannes Film Festival. The film was an American-based drama starring Donald Sutherland and Ad-Rock of the Beastie Boys and dealing with disaffected youth in California. Hudson next directed I Dreamed of Africa (2000), which was the closing film of the Cannes Film Festival of that year. His films deal with men and women separated from society, trying to find a true identity for themselves, fighting against forces of prejudice, injustice and compromise. They encompass emotionally intimate human stories, yet contain an epic sense of time and place. An outstanding visual sense, and the use of powerful sweeping music are hallmarks of his work.